Showing results for tags 'christmas ball'. 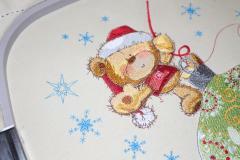 This photo is nice collage which shows four work pieces prepared especially for Christmas and New Year holiday. They are pretty kitchen napkins in traditional color scheme. 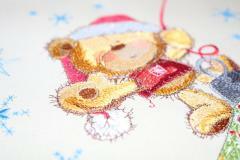 Each of them is decorated with thematic embroidery samples. 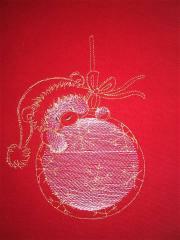 They are Christmas Ball free machine embroidery design, Christmas bell 3 free embroidery design, Christmas cone 2 free embroidery design and Christmas Candle free machine embroidery design. 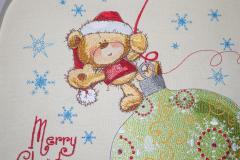 This is cute embroidered cushion made especially for Christmas. It hasn’t usual attributes and traditional color scheme but in spite of this fact it is definitely able to create merry holiday mood. 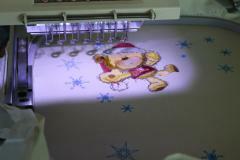 It is because of Cute Christmas deer machine embroidery design. 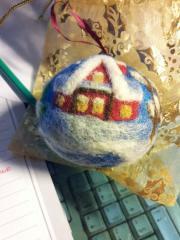 This fluffy animal is ready for festiva: it even already decorated its horns with beautiful Christmas ball! This bright green napkin of dense fabric is decorated with the sample made in accordance with Christmas modern ball machine embroidery design. The intricate ornamentation executed with thin red stitches makes the spectacular contrast with the main background. But people looking at this embroidery sample can see here something of their own: for example frosty patterns on glass of window or intertwining of the branches of the giant fairy tree. This embroidered sample for the kitchen napkin is chosen perfectly. The red color of the thread for embroidery corresponds with the color of the napkin’s border and makes the bright contrast with the green background. 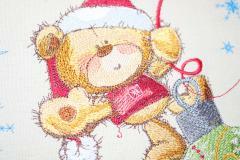 Furthermore the thin stitches used for Christmas modern ball machine embroidery design underline the rough texture of fabric which creates a sense of naturalness and comfort. So this napkin is really nice option to serve the holiday meal. It is the fragment of table napkin which has the intensive green background and red border which corresponds with the main color of embroidery sample chosen for decoration. 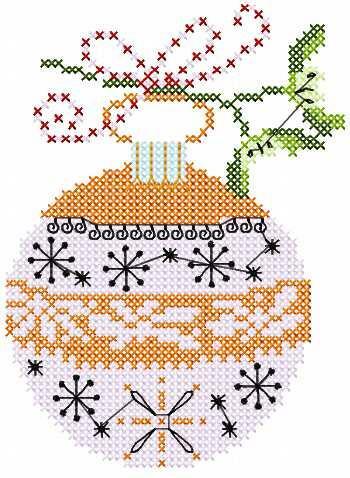 This picture is made with the scheme of Christmas modern ball machine embroidery design but in fact this beautiful and complex image is nice option to serve the holiday meal for any celebration. Its natural colors and expressive texture create the real feeling of home. 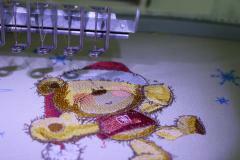 On this picture you can see the final stage of making the decoration sample with usage of Christmas modern ball machine embroidery design. It is made with just one red color which makes the spectacular contrast with this intensive green background. At the same time both of these shades are very natural so they look as very harmonious combination. 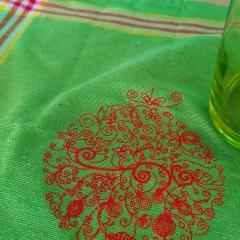 Now we need just iron this napkin and get very nice textile accessory for kitchen.